Bill is a dear friend, and when his Facebook status asked if anyone knew a quilter, I was more than happy to volunteer my own skills. Bill sent me this photo as an example of the colors he wanted. Rather than go with all solids, I found the Michael Miller Krystal prints at The Fat Quarter Shop. Ivory, burgundy, and teal (which is really more “spruce”, I think) were perfect! 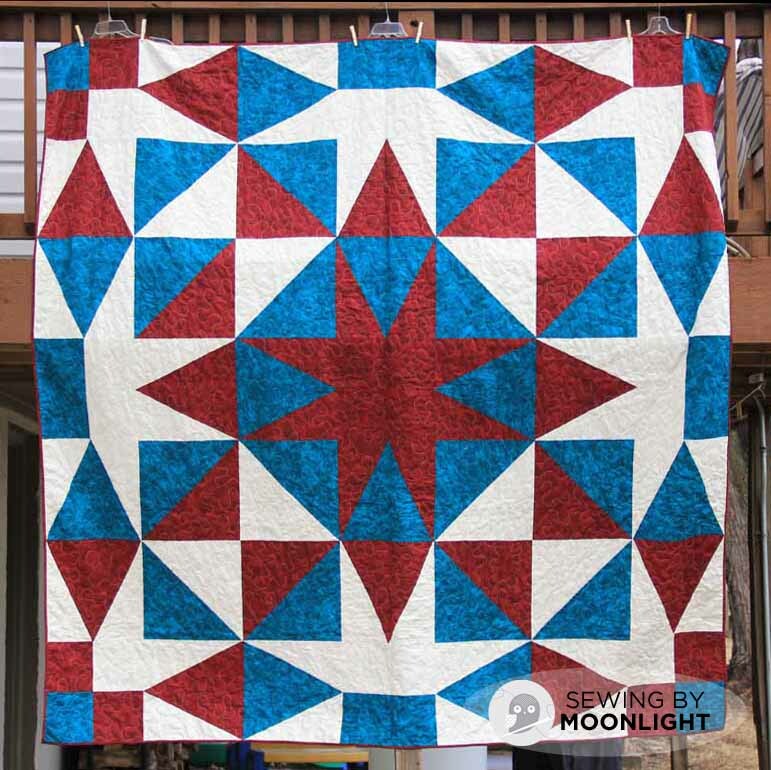 I found this pattern for a Single Star Wreath on Serendipity Patchwork. 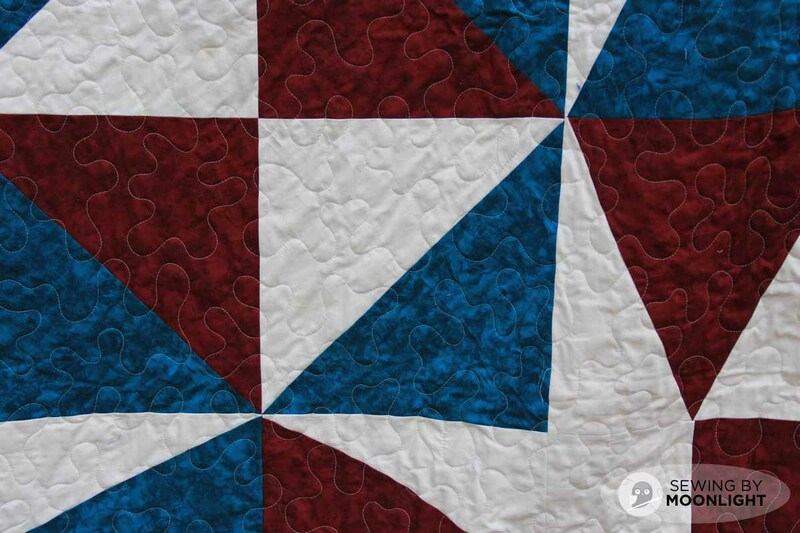 The pattern was for 6-inch blocks and a finished quilt of 42 inches. 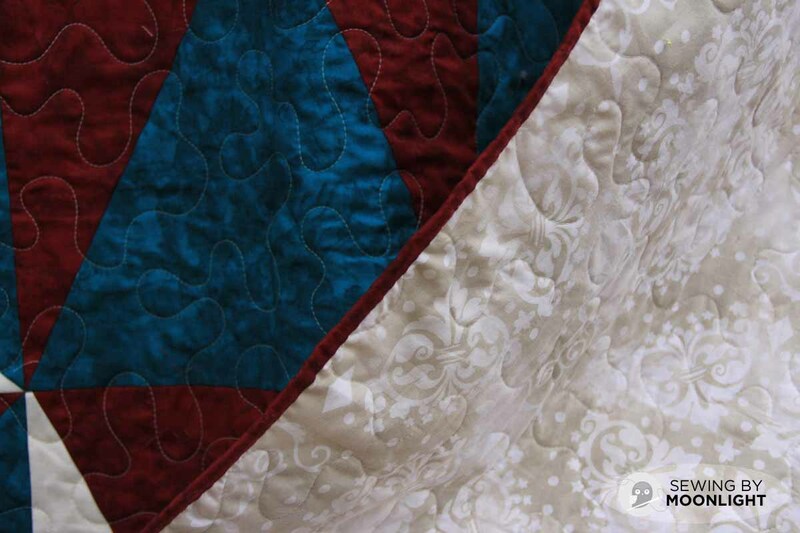 I modified the idea to make 14-inch blocks and a quilt that finishes at 98 inches on a side! I love how the angles of the blocks give the illusion of a star in a circle. I made some huge templates to get the isosceles triangle blocks and worked with oversized half square triangles. It was a fun challenge to make blocks of this large scale. 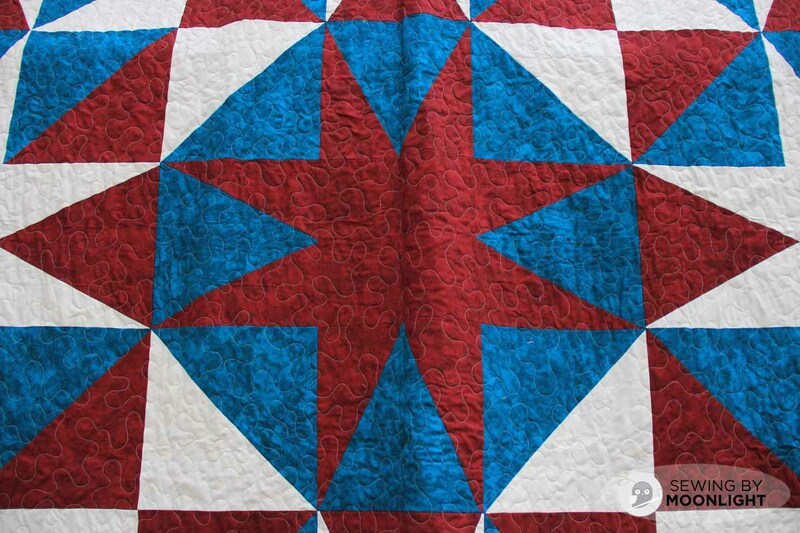 The next photo shows the color a little more accurately and you can see the quilting, which was done by Pat Cole on her long arm machine. The size of this quilt was more than I was comfortable attempting on my little domestic Bernina! I kept is simple with the back and used a single length of 108″ backing fabric with a subtle tone on tone ivory print. Bill, I hope this keeps you cozy and happy. It was joy making this for you, friend. Holy Crap!!! 98×98…that is enormous. It looks great! I agree with Kristy … and YES it turned out BEAUTIFUL!! !